Spanish, the official language of 21 countries, is spoken by more than 400 million people as a first language and it is classified as the third most important language in the world. We can expect that Spanish will be more and more popular based on the growth of economy and business trade of South America countries. The earlier the kids learn Spanish, the earlier they can use the language to communicate with the people who only know Spanish and to explore the world of Spanish! We provide Spanish Playgroup for toddlers. Our Spanish playgroup offers an opportunity for the toddlers to learn Spanish in a joyful atmosphere. 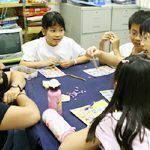 Our experienced native Spanish teachers use games, toys, songs, nursery rhymes, puppet shows to arouse the children interests in learning a new language. 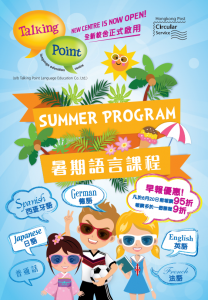 We also provide Elementary Spanish and Advanced Spanish for beginners or students who have learnt Spanish before. The aim of Elementary Spanish is to teach beginners the basics of the Spanish language. 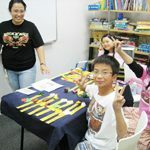 Through the program, students will learn how to interact in daily life situations such as introducing themselves, asking for directions, buying things, ordering meals, etc. The students can develop their reading, writing, speaking and listening skills through our comprehensive exercises and practices. The aim of Advanced Spanish is to enhance the skills already acquired in the past and to add further skills on reading, writing, speaking and listening, which will enable the students to deal with more challenging situations.